Homes that get a little bit of extra love are often loved that much more in return by those who live and visit them. Your whiskey and bar accessories aren't just chosen at random. Of all the barrel gifts available, you take the time to buy products that will give the many different rooms a flavor of their own. 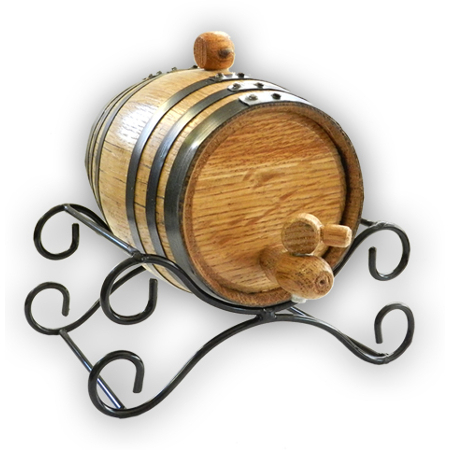 We have a variety of decorative items that are also functional like our Whiskey Barrel Making Kits which actually come with with white oak barrels and instructions to turn whiskey essence into your own home brand of liquor through the barrel aging process. You'll be enjoying your own hand-made whiskey in no time! The experimenter wants to get it right, and they don't care how many times they have to mess up before it's perfect. They don't look at their mistakes as wastes, they look at them as opportunities on the road to perfection. These people keep track of what they've done so they don't make the same errors, and continue until they're absolutely satisfied. For them, it's definitely much more about the journey than the destination. Of course, it helps a great deal when the destination is made that much better with their favorite cocktail: either with mixers, neat or on the rocks. This is fantastic whiskey lover gift for the project-oriented person in your life who loves whiskey. The barrel making kits come with a wooden barrel, beautiful stand, spigot, bung (stopper) and cleaning kit. This is especially good for the person who seems to have everything: you're giving someone a challenge to create their new favorite drink. Everything necessary is included to get the owner up and running. 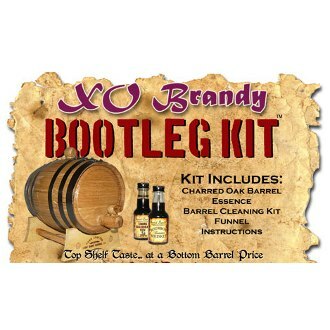 We also have Kentucky Bourbon Barrel Making Kit. You're meant to age the liquor for at least two weeks, so the flavors have a chance to marry with each other and with the wood. However, you can try more or less to see which suits your palate the most. 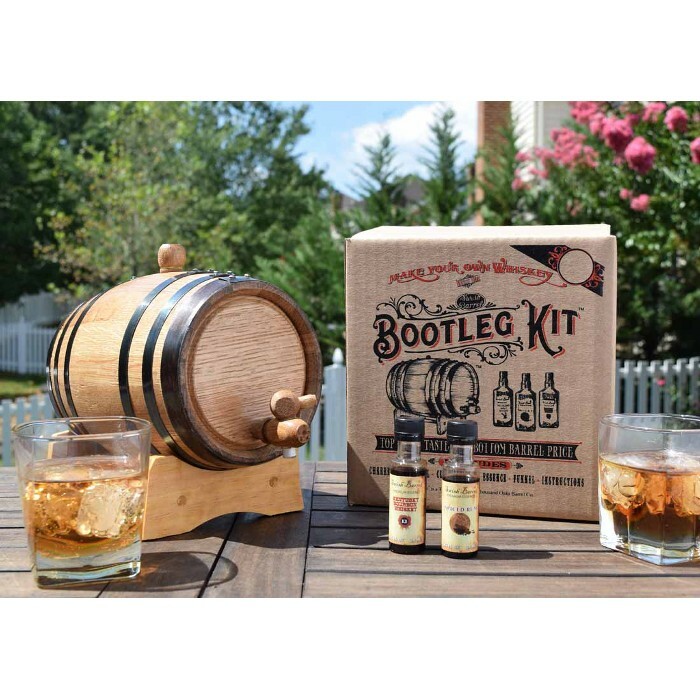 You can easily buy more liquor essence and use this barrel making kit again and again. Anyone who has a home bar or man cave that could use a little something extra will appreciate this unique addition.